Hello, friends! Or maybe I should say bonjourno! 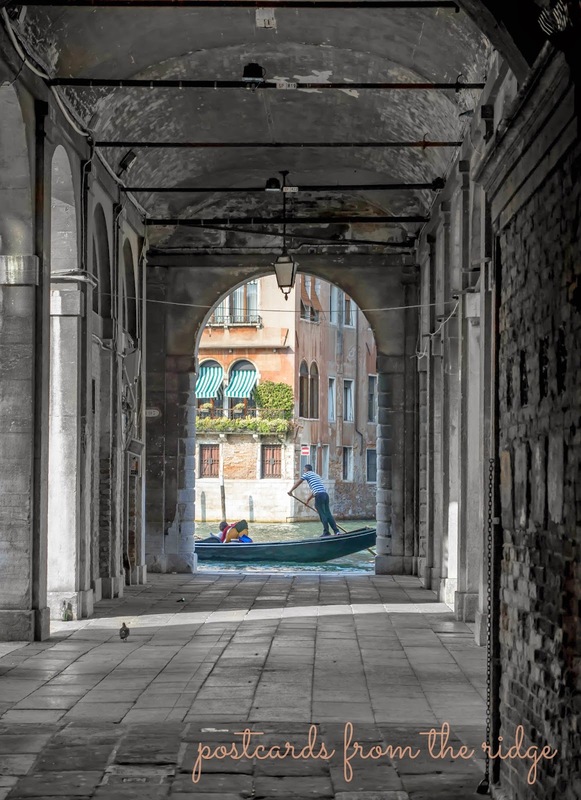 Today I'm sharing some of my favorite photos I shot on our recent bucket list trip to Italy. With an endless supply of amazing ancient architecture, beautiful hilltowns, beaches, and more, it's a truly photographer's dream. Not to mention the great food, abundant wine, and iconic museums. It's definitely a place that everyone should visit at least once in their life! 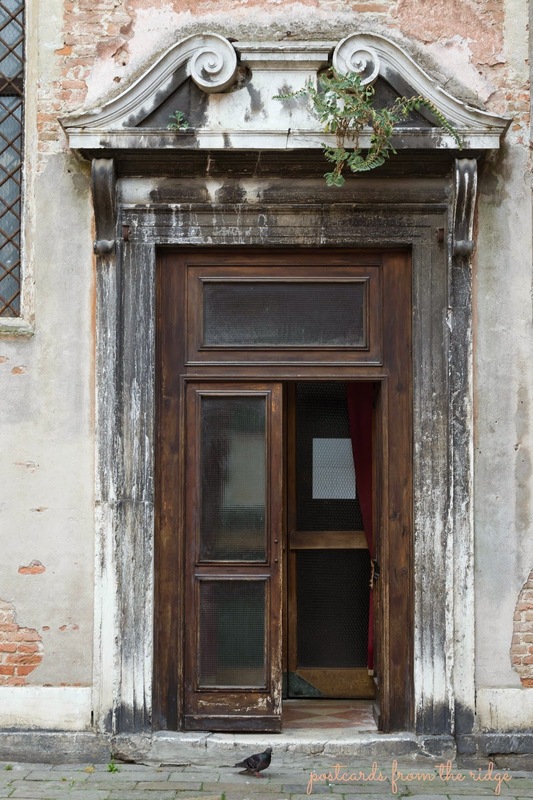 I've always had a thing for old doors with lots of patina, and Venice was full of them. I've even got a pinterest board called Divine Doors dedicated to mostly old doors with lots of character. The green shade on this one was on many of the doors and shutters throughout Venice and in much of Italy. I love the chipping and fading on this one, as well as the layers of deteriorating stucco and dirt that surrounds it. If you follow me on facebook or instagram, you've probably seen this one already. I should call it, "The right place at the right time with the right lighting". Sometimes the photography gods smile on you and everything comes together perfectly for a shot like this. I think it might be my favorite one from Venice, if not all of Italy. I did some fun editing in lightroom to remove all of the color except the boating scene. 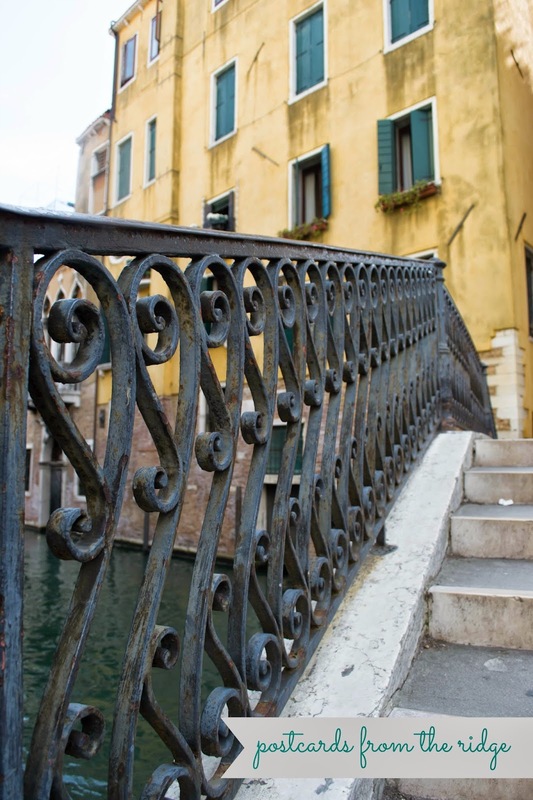 Another shot from Venice, this one shows a beautiful old handrail on a bridge across one of the canals. The detail is beautiful. And there's that pretty green again on the shutters in the background. 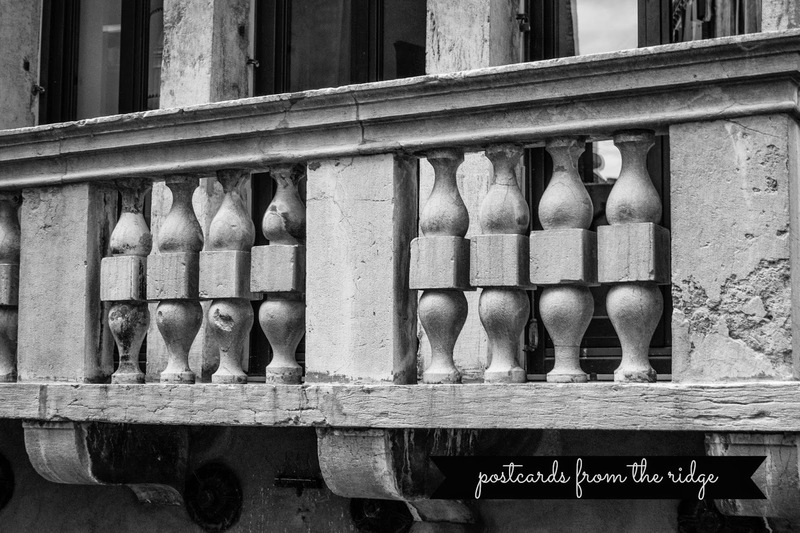 The texture and lines on this balcony are so classic. I wish we had buildings like this around here. Who knows how many centuries-old this one is! 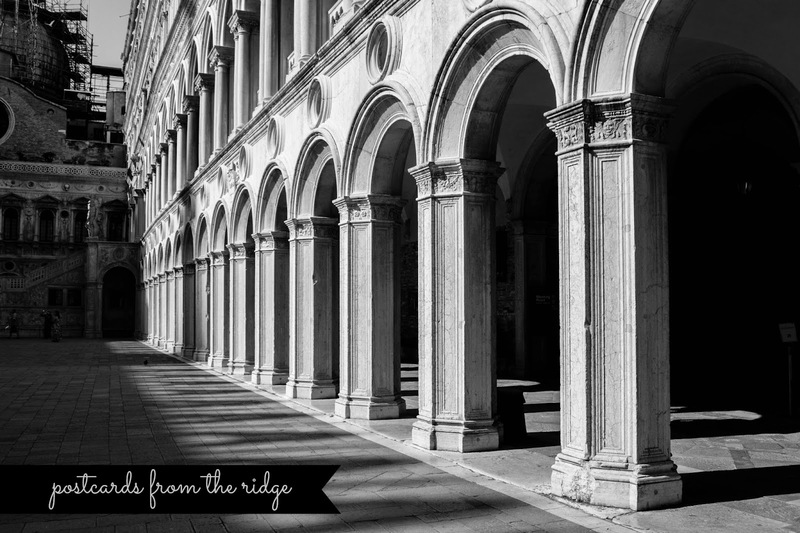 The Doge's Palace in Venice is a perfect example of symmetry and Gothic architecture. I used Lightroom software to edit this one and convert it to black and white. 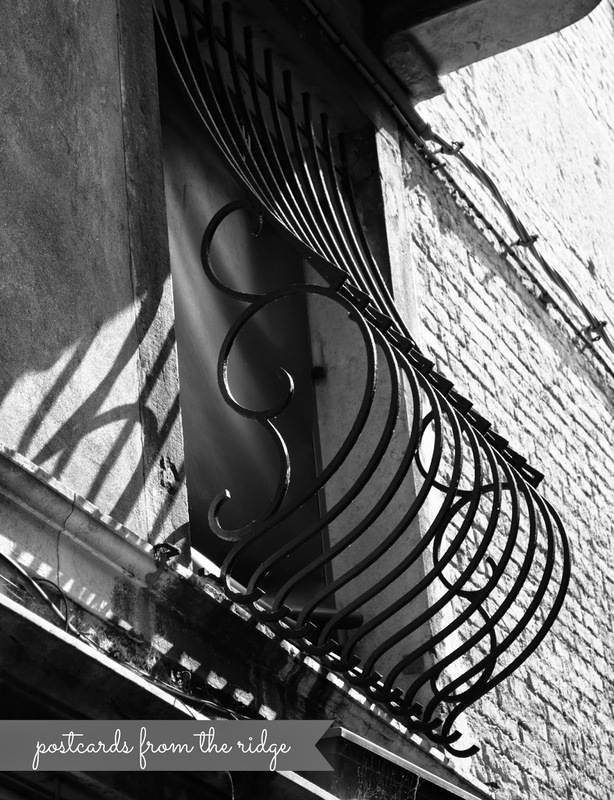 One of many beautiful windows in Venice, this one had an interesting iron scroll security gate covering it. It looked like art to me! 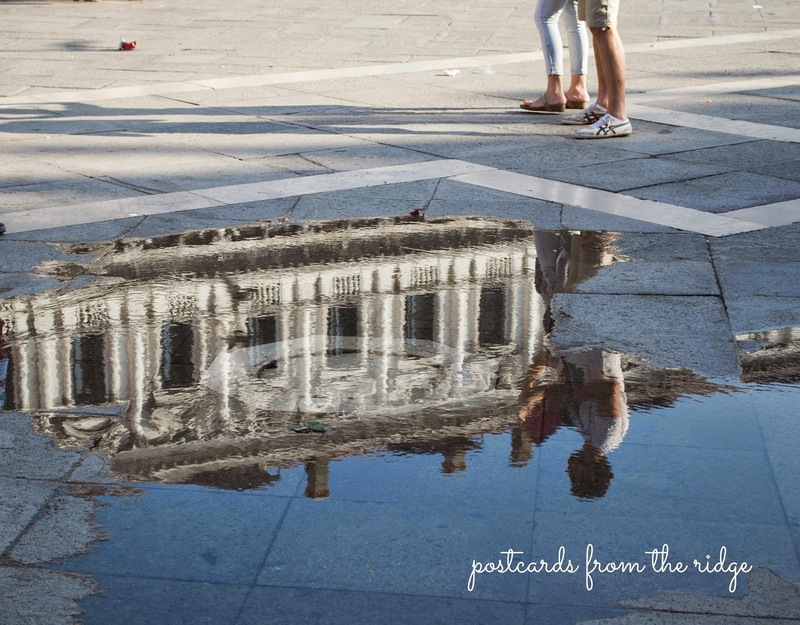 In San Marcos square, Venice, the water comes up onto the sidewalk during high tide and heavy rains. I captured the reflection of one of the buildings there at high tide one afternoon. 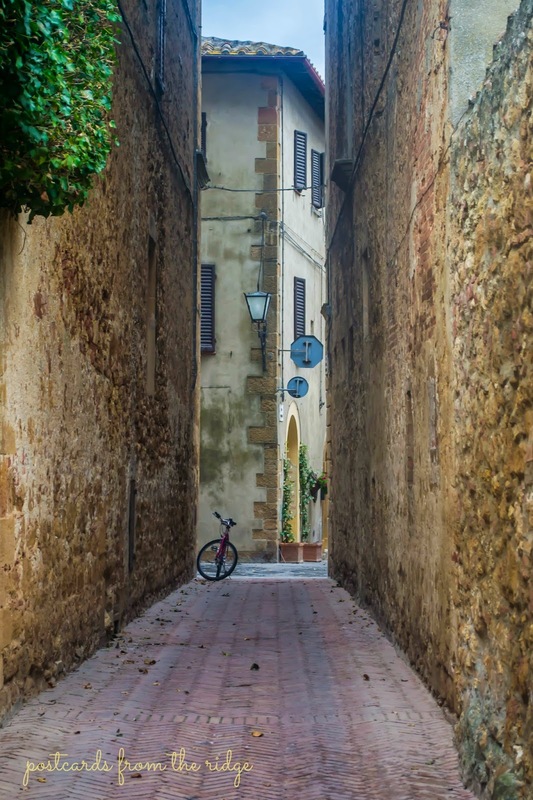 Out in Tuscany, there are lots of little "hilltowns" that are so picturesque. We visited 2 of them, including Pienza. The tiny brick streets are so pretty, and they're only big enough for pedestrians and bicycles. 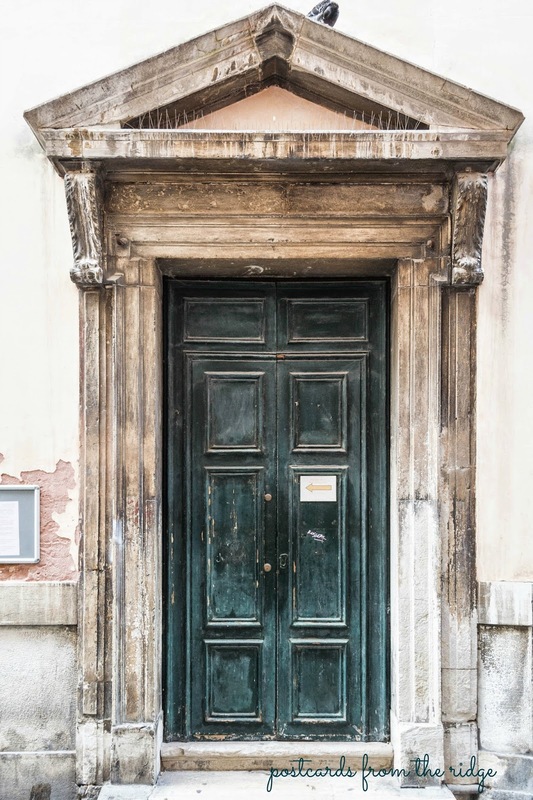 Another centuries-old door here in Venice. There are pigeons everywhere, including this one that photobombed my shot. I love the exposed brick revealed by the deteriorating plaster, as well as the variations of age shown around the door. And if you peek inside the open doorway, you can see a beautiful floor. I had such a wonderful time seeing and photographing so many things on our trip. These are just a handful of my favorites. If you're interested in capturing shots like these, watch for my upcoming series on photography tips. I'm no professional, but have been shooting things (with my camera) for almost 35 years now. It's my therapy, and I try to get out and shoot as often as I can, but it's never not often enough for me. I've learned a few things along the way and would love to share them with you! Be sure to subscribe to email (and don't forget to confirm) so you don't miss anything coming up. In addition to the photography tips, I've got painting projects, favorite color posts, a couple of DIY posts, and more tips and tutorials in the works. And if you'd like to purchase any of these photos, or any others on my site, they're all available in various sizes without the watermark. Email me for pricing and information at postcardsfromtheridge@gmail.com. Thanks for dropping by today! Arrivederci! Buongiorno Angela- I'm glad you had a good time. I love Italy and I am anxious to go back. I'm looking forward to your photo tutorials -- I love the tips for improvement. Would love to have an opportunity to take a trip like this! Thanks for sharing these beautiful photos!